Above, a sensible medium sized station wagon...er...crossover. Once upon a time, car drivers who occasionally hauled around a lot of stuff and/or large objects from place to place, bought station wagons. 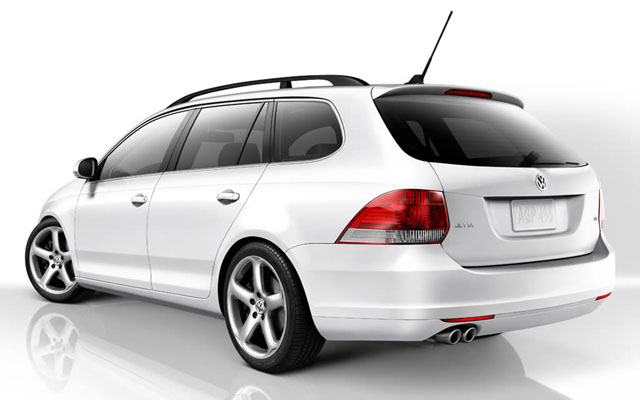 In Europe these were called estate cars, and still are, but in the United States, they were called station wagons, presumably because they transferred goods to and from a railway station terminus. Basically a station wagon was the same as it’s passenger car cousin, except the trunk, rear deck, parcel shelf and back window were replaced with a compartment the height of the roof, and they had a tailgate of some kind (a rear door). The rear seats folded flat to provide the functionality of a small van, in a car’s body. During a temporary period of low fuel prices starting in the 1980’s, Americans reverted to their 1970’s habits and began to use vehicles that were larger than they needed to be. Many a ninety pound woman uses a five liter V8 powered four-wheel drive “sport utility vehicle” to drive a mile to the local Starbucks with no passengers or luggage. In fact, SUV’s became so ubiquitous in the USA that normal cars were considered dangerous and vulnerable to devastating impacts if involved in collisions with “normal” SUV’s. But underneath the wood veneer and leather seats, an SUV is just an unstable truck with similar build design to a car of eighty years ago. Eventually the American market opened it’s minds to the station wagon format again, except by now Station Wagon was a dirty term that would surely spell marketing death for the car makers. So they made up a new word, “Crossover” which presumably means a mixture of a normal car and a giant four-wheel drive sport utility vehicle. A Crossover has a car-style unibody construction and can have all the latest technology. Due to the better maneuverability, stability, controlability and crumple zones, the Crossover is as safe as a sedan and much less likely to become an out of control 3 ton missile rolling over and over and reducing the occupants’ spines to pulp in the process. A Crossover is….. a station wagon, except without the guy in the plaid jacket smoking a cigar. That’s a tasty one in the picture. I guess it’s the new Jetta wagon. I also like the Matrix and the Mazda whatever it’s called. And the Audi A3 is extra cool, and looks just like this Jetta wagon. The sooner we get these ugly SUVs off the road the better. They are a nuisance, a menace, a danger, an eyesore, a waste of fuel and a burden on the environment. And if you just bought one, it’s a damn giant truck! What were you thinking? We have to live here as well you know. Ephraim..your sentence to “The sooner we get these ugly SUVs off the road” is seconded by ME. Which roads are you referring to ? I am in Israel, and here they have become a menace and continue to arrive in greater numbers.